All the Indian Nationals (including Person of Indian Origins/OCI) must fulfill each and every one of the following five criteria to appear in JEE (Advanced). Ministry of Human Resource Development (MHRD) has decided some major changes in the pattern of Joint Entrance Examination (JEE) for the year 2017. The decision has been taken after committee set up by IIT Council. The meeting of IIT Council was conducted in October 2015 with the eminent persons in the subject of improving the system of Joint Entrance Examination (JEE). The main focus of meeting is to scrap the class 12th marks weightage given in the JEE (Mains) ranking. The committee had recommended major changes in JEE Main eligibility criteria 2017 for admission to IITs, NITs, IIITs and CFTIs. Candidates should be among the top 2,20,000 (including all categories) by scoring positive marks in Paper-1 of JEE (Main) 2017. The percentages of various categories are: 27% for OBC-NCL, 15% for SC, 7.5% for ST and the remaining 50.5% is OPEN for all. 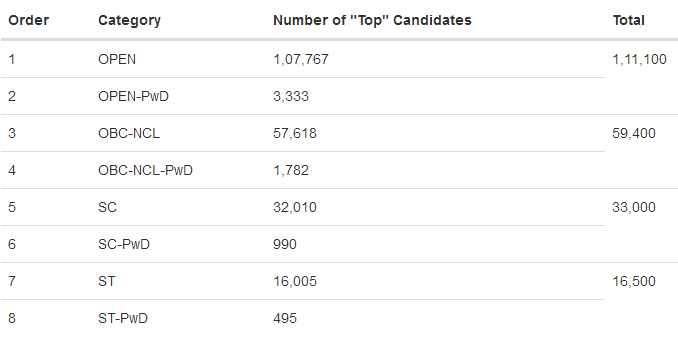 Within each of these four categories, 3% horizontal reservation is available for PwD (including Dyslexic) candidates. Candidates should have been born on or after October 1, 1992. Five years relaxation is given to SC, ST and PwD candidates, i.e., these candidates should have been born on or after October 1, 1987. 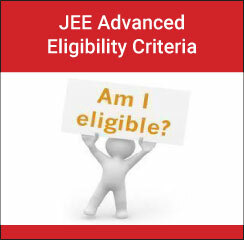 A candidate can attempt JEE (Advanced) a maximum of two times in consecutive years. Therefore, candidates who appeared in JEE (Advanced) 2016 for the first time are also eligible. 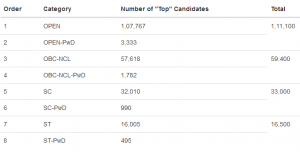 A candidate should have appeared for the Class XII (or equivalent) examination for the first time in either 2016 or 2017. A candidate should NOT have been admitted in an IIT irrespective of whether or not he/she continued in the program) OR accepted the IIT seat by reporting at a reporting centre in the past. The candidates whose admission at IITs was cancelled are also NOT eligible to appear in JEE (Advanced) 2017. Candidates who have been admitted to a preparatory course in any of the IITs for the first time in 2016 can appear in JEE (Advanced) 2017. The candidates who have paid seat acceptance fee but not accepted the seat (by not reporting at any reporting centre during joint seat allocation in 2016) are eligible to appear in JEE (Advanced) 2017.